HomeTravel TipsU.S. Passport Lost, Stolen or Damaged aboard! U.S. Passport Lost, Stolen or Damaged aboard! Although I didn’t lose my U.S. Passport, I did damage it last month in the washing machine while on vacation in England. Damaging your U.S. Passport while overseas is only one step away from losing it! And yes, if you washed it like I did; it’s damaged. You must replace it before trying to return home. At first, I panicked! After doing a little online research, I was able to get my emotions back into check. I realized I needed to go through just about the same process as losing my passport to get it replaced so I could return home. But reading everything on the State Department Website was a bit confusing at first. So to help simplify the process for you, here’s a roadmap of steps I went through with some recommendations and tips that will help. Before traveling, I always Email myself a copy of my Passport ID page, Driver’s License and travel itinerary. I keep this information in my Email online account while out of the country. Printing out my Passport ID page and travel plans was very helpful in getting my passport replaced! Don’t panic! You’re not the first nor will you be the last to Damage, Lose or have your U.S. Passport Stolen while abroad. The U.S. Department of State knows this and has standard procedures in place to help you. You need evidence of your U.S. citizenship (birth certificate, photocopy of your lost passport). Having an accessible electronic copy of your Passport ID page available to print out comes in handy. You will need additional Identification (driver’s license, expired passport, etc.). If you don’t need to take your driver’s license on your trip abroad then its best left at home with a friend or relative. Alternatively, if you have a Virtual Mailbox Service such as the Traveling Mail Box, Express Mail your driver’s license (with a tracking number) to yourself there for safe keeping. You can send it back to yourself once you return home. If you lose both your Passport and wallet while abroad, you can have your friend, relative or Virtual Mailbox Service provider Express Mail your driver’s license to where you’re staying. You will find this as a big help to you if you lose everything. If your someone stole your passport, be sure to report it to the local Police and try to get a copy of the Police Report as its needed with form DS-64, which you will fill out later. Print out a copy of your travel itinerary as proof of you onward travel plans or return home. The Embassy or Consulate staff will ask for it. Get new Passport Photos. Get at least two, get them in advance before going to the U.S. Embassy or Consulate as this will save you the additional hassle. Here are the Photo Specifications. Fill out form DS-11, Application for Passport online then print it out. Important: Do not sign this form until asked to do so by an officer at the U.S. Embassy or Consulate. Start by using the U.S. Department of State Applications and Forms help page. It’s straight forward. 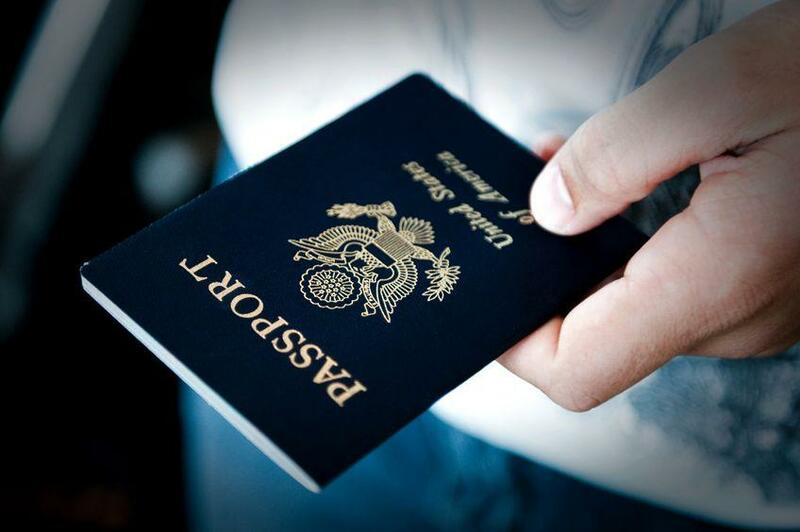 If you have lost or had your passport stolen, you will also need to fill out online and then print out Form DS-64, Statement Regarding a Lost or Stolen Passport. Again use the U.S. Department of State Applications and Forms help page otherwise you will need your damaged passport. Make an appoint at the closest U.S. Embassy or Consulate. If you can make the appointment online, take a printout of the appointment confirmation page. Get to the appointment early as you don’t know how long you will have to wait outside. If you’re in a country where the United States does not have diplomatic relations such as Iran, still visit the U.S. Embassy or Consulate website for instructions for that country. Have a payment method and be expected to pay the passport fee in US Dollars. I was able to use my credit card to pay the fees. The Appointment at the U.S. Embassy or Consulate. Your appointment time at the Embassy or Consulate is the time you need to be checked in by (if not sooner) at the security gate. If you miss your appointment time, you may have to wait outside or reschedule. To be sure, arrive early. At the U.S. Embassy in London where I had to go, you cannot take in any electronics except a cell phone. Also, you can not use your mobile phones while talking the Embassy staff or officers. Take something to read that’s not electronic like a book or magazine as some waiting will be involved. If you followed the preparation steps above, the visit should be straightforward, so there’s no need to worry. Remember, you are a U.S. Citizen visiting the U.S. Citizen Services Center at the U.S. Embassy or Consulate. You are as close to home as you can be in a foreign country. At the end of your visit, the Embassy will issue you a limited-validity, emergency passport so you can get back home to the U.S. or continue on your trip. If you have damaged your U.S. passport the Embassy or Consulate will not give it back to you; they will shred it. If you use Global Entry or the Entry Kiosk now available at some airports, you will be redirected to a Border Control Officer because you are using a limited-validity passport. Also, the new Mobile Entry App you can now use at some airports to speed your processing does not work with a limited-validity passport. It’s no big deal; it’s just a little slower getting through immigration that’s all. When back home in the U.S. 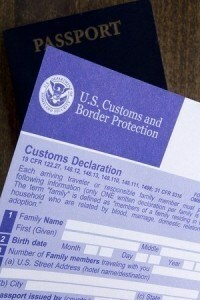 Fill out form DS-5504 online, application for a U.S. Passport: Name Change, Data Correction, and Limited Passport Book Replacement. Print out this form once completed online. Use the U.S. Department of State Applications and Forms help page again to get started. Attach to form DS-5504 one of the extra passport photos. Mail Form DS-5504 with attached photo and your limited-validity passport to the U.S. Passport Office using a mailing service with tracking. (For example USPS Priority Mail). If you paid for your limited-validity, emergency passport when you received it, then you don’t need to send payment again as long as your emergency passport has not expired! As soon as I got back home to the States, I replace my limited-validity passport. I opted for standard processing which the US Department of State says can take between four to six weeks. My replacement ten-year Passport arrived fifteen days later on December 29th, wow! If you’re a regular traveler as I am, consider a third form of identification such as a U.S. passport card or a DHS trusted traveler card (Global Entry, NEXUS, SENTRI, FAST). If you need to travel with your driver license, you can leave this third identification at home with a friend or relative or with your Virtual Mailbox Service Provider such as the Traveling Mail Box just in case. By washing my U.S. Passport and going through my initial panic; I realized I was not the first to damage or lose my passport while out of the country. I won’t be the last either. The Embassy visit itself was quite easy and took just under two hours. The staff called me to the window five times during my visit. Between each time, I had to sit and wait; so take a good book with you. During the whole episode of washing my passport and getting a replacement, the biggest hassle was going South to downtown London from Northern-England on a Monday morning. Not an easy thing to do! Everything else turned out to be fine. Yes, I could have been more prepared! 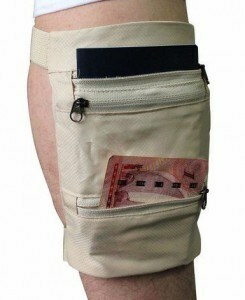 But better yet, I should have been using my Undercover Leg Wallet to keep my passport in as I do when visiting South America and not in my top shirt pocket! Hindsight 20/20. Have you experienced losing or distorting your travel documents while abroad? If so, please leave a comment with your experiences and feel free to make additional recommendations.